So thrilled to share this post today! 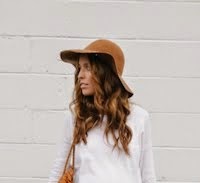 The beautiful Jen from Jenloveskev is always a go to inspiration for killer mama style. Not to mention I die a little bit every time she posts pics of her adorable Rowan! Thanks for sharing such a beautiful moment with us Jen! Hi Everyone, it's Jen from Jenloveskev! I first want to give a big huge shout of congrats to Sydney and Ty on there new little bundle of Joy. Welcome to the wonderful world of parenthood guys. Everett is one lucky little dude. When I hear about a new baby being born, I can't help but start reminiscing about Rowan's birth. What a magical moment in our lives. One that changed me for the better in so many ways. I have very dear, dear memories of that first week, but the one that I hold the closest to my heart was that "golden hour" after the baby was born. We had decided to have all procedural things delayed for the hour after her birth. 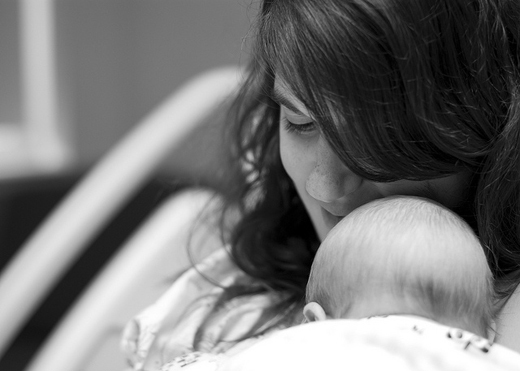 Most hospitals will allow you to delay those things if all is healthy and well with baby. When Rowan was finally born, there was such a euphoric joy in the room. I seriously don't remember any one else in the room other than Kev and Rowan. For one solid hour it was just about the 3 of us. We cried, we laughed and we stared in disbelief that this little, beautiful being was perfectly half Kev and half me. I will always remember the look on Kev's face as he realized just how much he already loved her. Rowan lied there covered in blanks, her heart agains't my heart and we cuddled for the first hour of her life. It will forever be a memory that brings tears of joy every time I think of it. What a blessing! All you girls, make me want to have babies!! Love this story Jen, thanks for sharing! Seriously, What a belssing! And all of these baby posts are making me want to get pregnant! Aww, man. You guys and your amazing stories are seriously making me baby hungry. Such a beautiful moment, though! LOL! Loving Mandy's comment about wanting to pop out a cutie. Agreed! The Golden Hour, awesome :D! aw LOVING this post! so gr8!! hey I'm doing a copycat project and I copied one of your outfits. here's the link in case you're curious enough to see it. so beautiful! it's so incredible to think that this little being is half of you! Love that you called it "the golden hour." I always encourage clients to delay any procedures (again, assuming all is well.) t's just a beautiful time. These stories are incredibly sweet and beautiful. Thanks for sharing Jen! Another beautifully touching post. Being a mother is the best thing in the entire world. What a beautiful blessing. i am yet a mom but i think photos like this will inspire the motherhood period. Enjoy! They grow up so fast.Oo... I love the smell of the baby in the first few months.. Sniff sniff.. Enjoy the smell.. Cause once they get active, they'll start to stink! But, oh.. How I love my smelly little boy. I loved this post. I'm looking forward to having my own special first moments with my little girl in February. What a cute name for a girl. I love Rowan. I love these posts. They make me so happy to be a mom and to remember the love and excitement I felt in the first few moments and weeks.